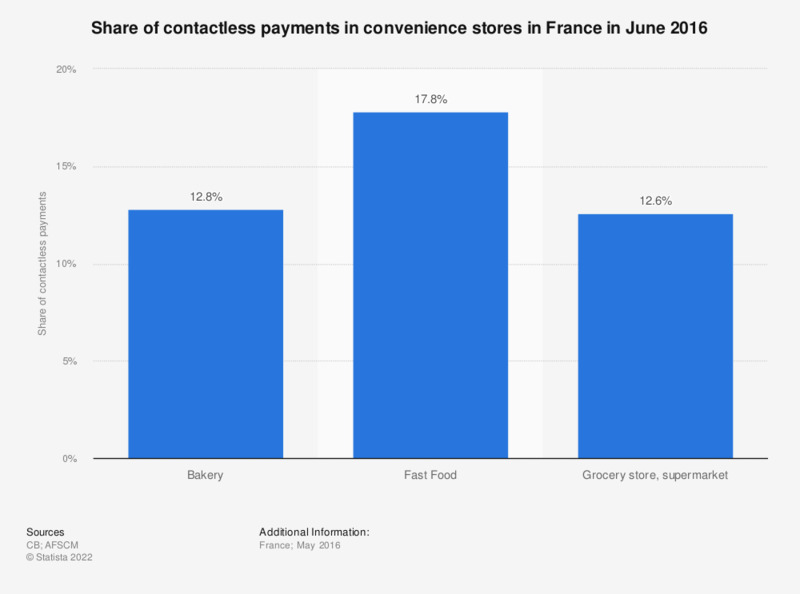 This statistic shows the share of contactless payments in convenience stores in France as of May 2016. In May 2016, approximately 18 percent of all payments in supermarkets in France were done using contactless payment. The source adds the following information: "The number of contactless cards includes the payment cards and loyalty cards provided by the supermarket."